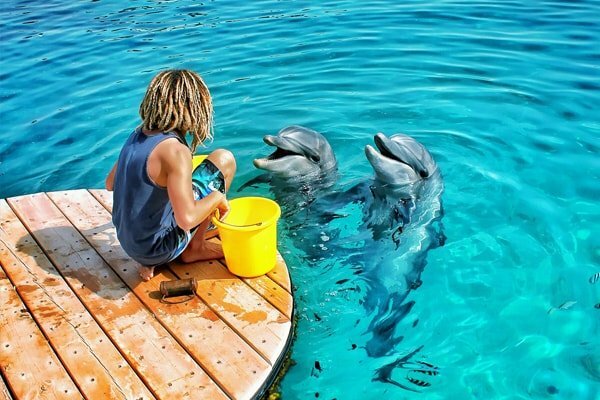 The Red Sea - ever lasting sun, coral reef, vibrant night life. Welcome to Israel! Our representative will meet you at the airport, for a briefing of the tour. You will receive a tablet with GPS as well as guidelines for all the sites included on your itinerary. In addition, our representative will provide you with the necessary vouchers, maps and phone number of your contact person during your tour. Drive along the coast to Caesarea, the ancient port city built by King Herod, to visit the Roman Theater and the Crusader fortress. Proceed to Megiddo, site of the Armageddon- battle site of Good over Evil. Visit the excavations of the ancient water supply system. Continue to Daliat el Carmel, a Druze village. 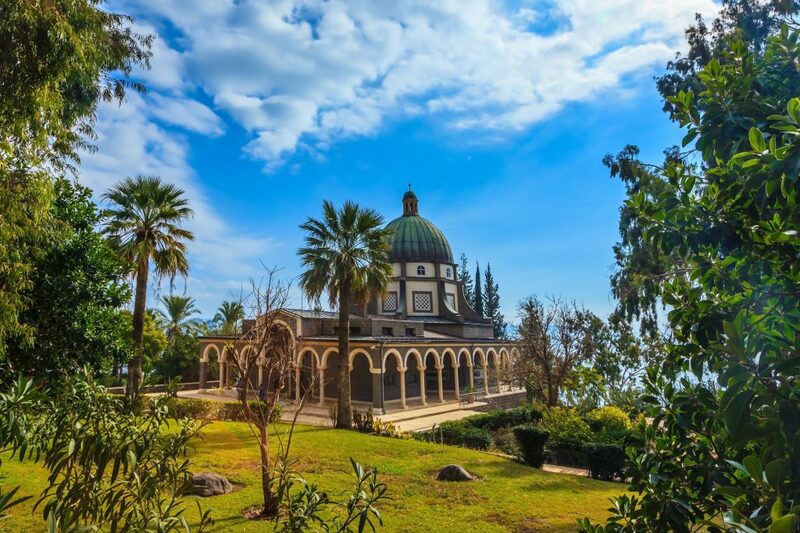 Proceed to Mount Carmel for a panoramic view of the Haifa Bay and the golden domed Bahai Shrine and Gardens, a UNESCO Heritage Site.Overnight in Haifa. 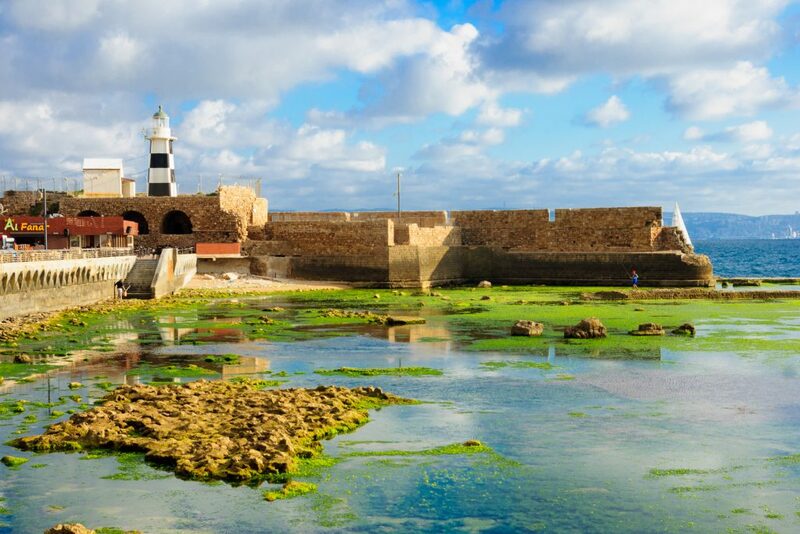 Drive north to Akko (Acre) for a visit of the fascinating underground Crusader stronghold and medieval fortifications. Continue to Safed, (Tzfat), center of Jewish mysticism, visit its ancient synagogues, and the artists’ colony. 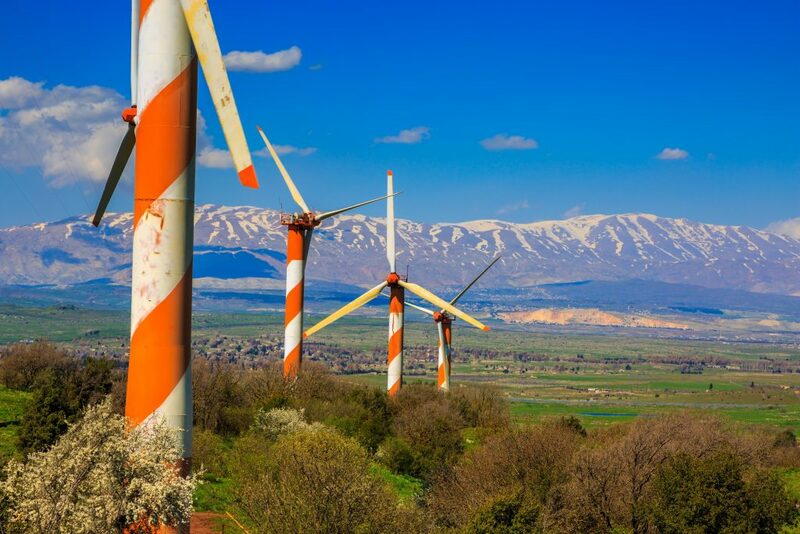 Continue to the Golan Heights to the new Israeli town of Katzrin. Stop at the Golan winery for a tour and wine tasting. Drive up Mt. 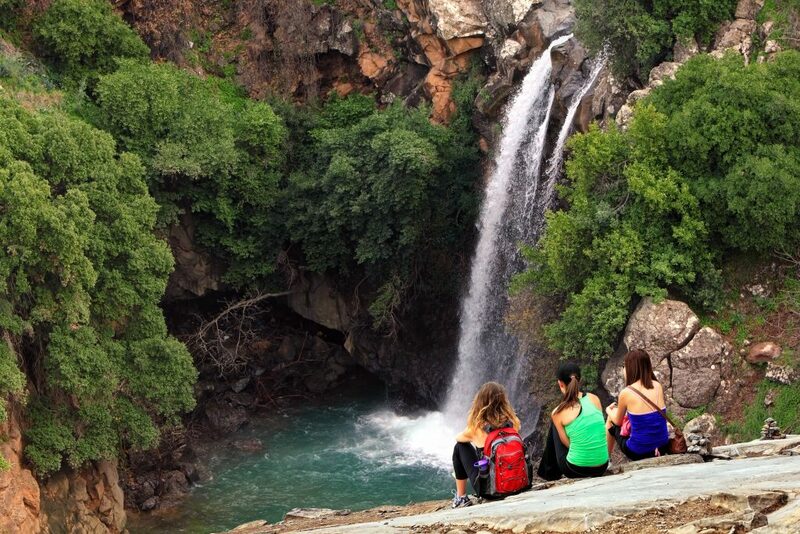 Ben Tal for a breathtaking view of the Golan Heights. Overnight in Tiberias. First visit today: Capernaum, the ancient ruins of the synagogue and octagonal Church of St. Peter. 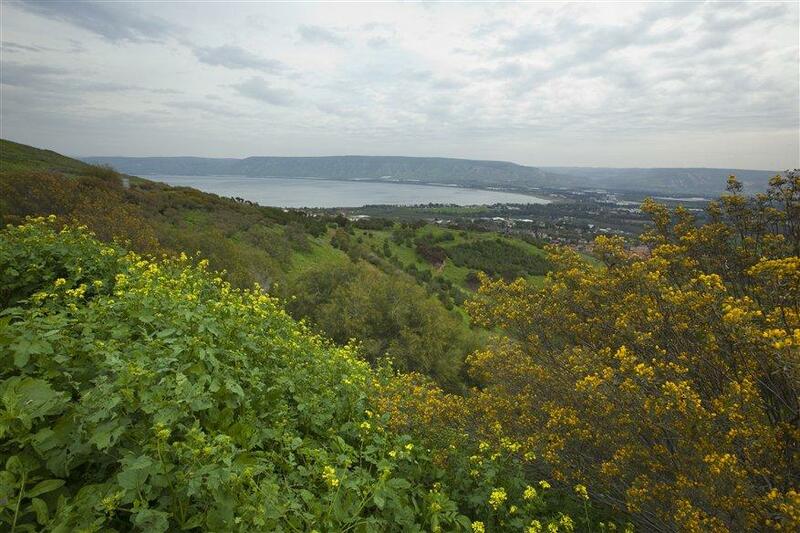 Proceed to the Mount of Beatitudes where Jesus delivered the Sermon on the Mount. 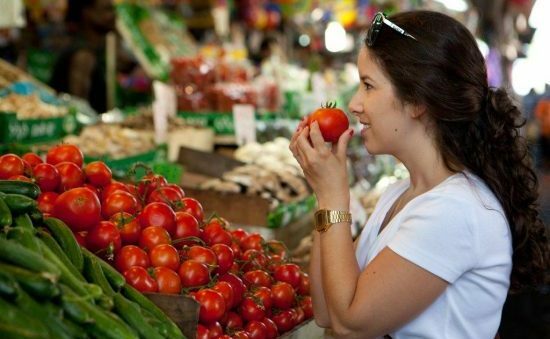 Visit Nazareth and the Church of Annunciation. 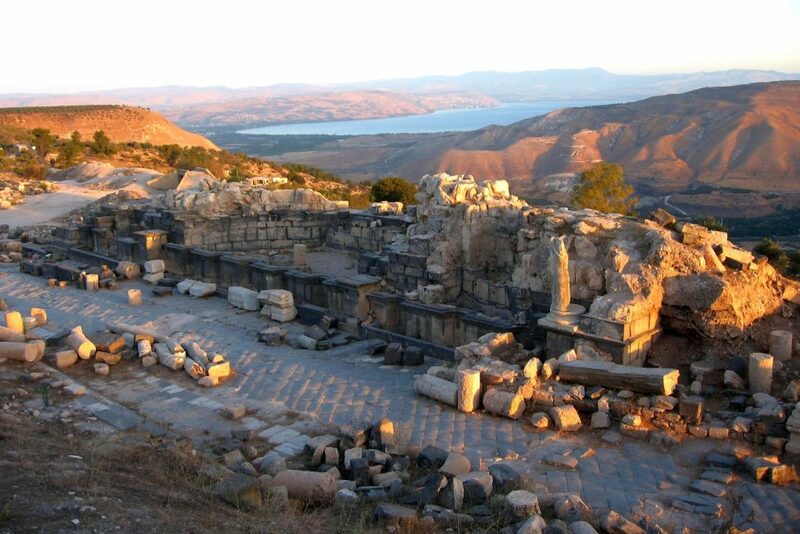 Drive via Beit Shean to Beit Alpha to see the remains of the remarkable mosaic floor of an ancient synagogue, depicting the zodiac. Depart for Jerusalem. Overnight in Jerusalem. Start the day with a magnificent panoramic view from the Mount of Olives. 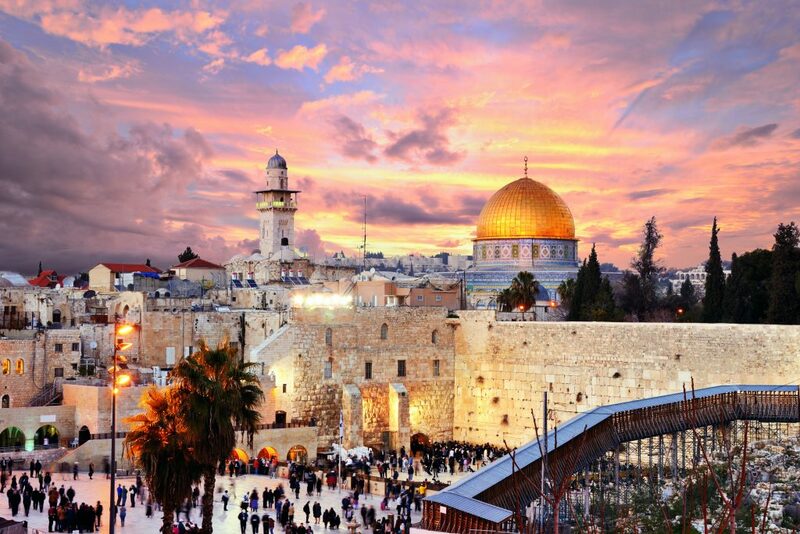 Drive to the Old City-visit the Tomb of King David and The Room of the Last Supper on Mt. Zion. Enter the walled city and stroll through the restored Jewish Quarter. Visit the Roman Cardo and continue to the Western Wall. Walk to the Muslim Quarter to visit the impressive excavations of the Pool of Bethesda and the Crusader St. Anne’s Church. Walk along the Via Dolorosa to the Church of the Holy Sepulcher. Overnight in Jerusalem. Drive to the Israel Museum ; visit the Shrine of the Book which houses the Dead Sea Scrolls, and the miniature model of Jerusalem as it was during the Second Temple period 2000 years ago. See the Knesset-the Israel parliament anad the nearby Menora,symbol of the State of Israel. Continue to Mount Hertzel Cemetery and to Yad Vashem Museum, memorial to the Holocaust. Visit Mea Shearim, and learn about the unique lifestyle of this ultra-orthodox Jewish community in Jerusalem. In the evening, enjoy a spectacular sound and light show at the Tower of David Museum, weather permitting. Overnight in Jerusalem. Drive east through the Judean Desert to the Dead Sea. Stop at Qumeran National Park, site where the Dead Sea Scrolls were found. Ascend to 2,000 year old Masada Fortress by cable car-visit king Herod’s palaces and bathhouses, the synagogue and view the Roman camps and the Dead Sea. 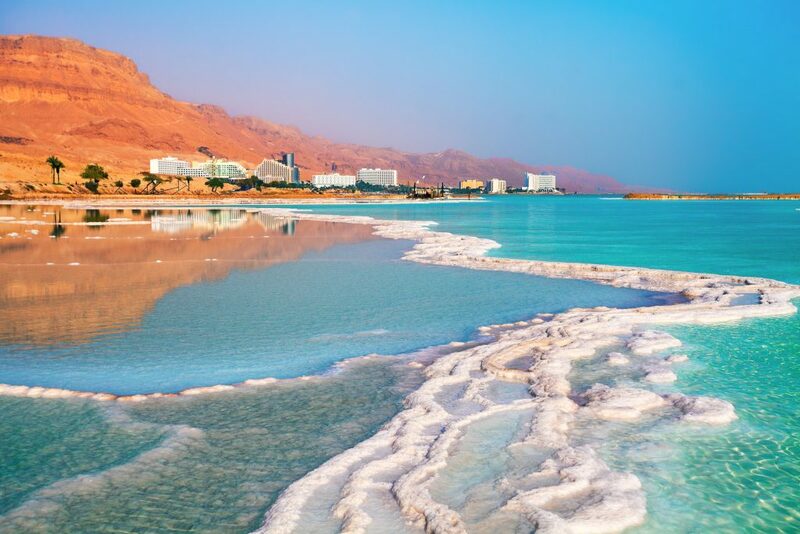 Descend for a possible swim and “float” in the Dead Sea, the saltiest and lowest place on earth. Overnight in Arad. 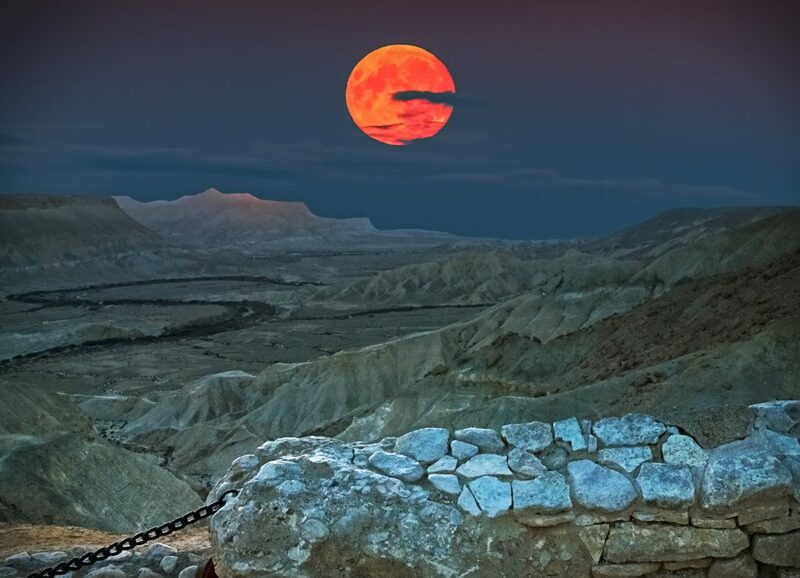 Head south through the Negev Desert. 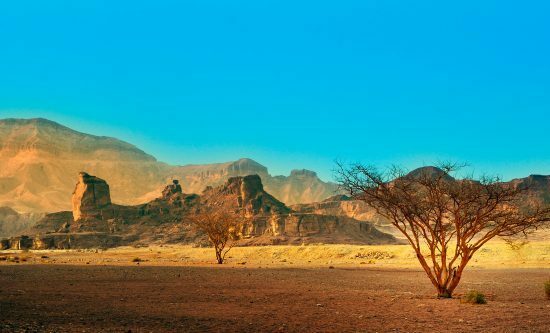 Visit Timna’s ancient copper mines and King Solomon’s Pillars-huge multicolored rock formations. Continue to Eilat. Visit the underwater observatory, one of the largest sea aquariums in the world, built into a coral reef. Overnight in Eilat. After assistance with visa to the Jordanian border, drive straight to Petra through desert highways. Arrive at the fascinating rose-red city of Petra, built by the Nabateans. The visit begins with the option of a short horseback ride or walk for 700 m. until the entrance of the Siq. Enjoy the huge monuments such as the Treasury and the royal tombs. After the visit, time for lunch in a restaurant. Proceed for a short visit to Aqaba. Transfer to the border at around 18.00 and cross back to Eilat. 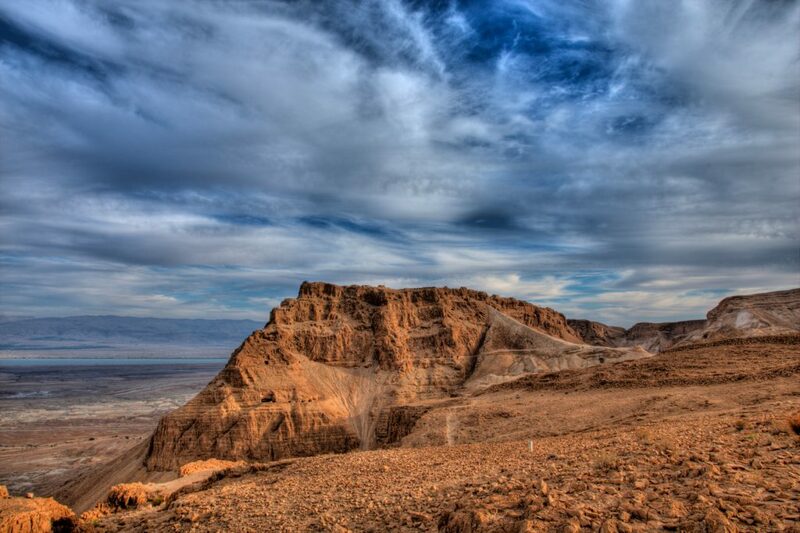 Leave Eilat and stop at Mitzpe Ramon desert town for a look at the Ramon Crater, a unique geological phenomenon. 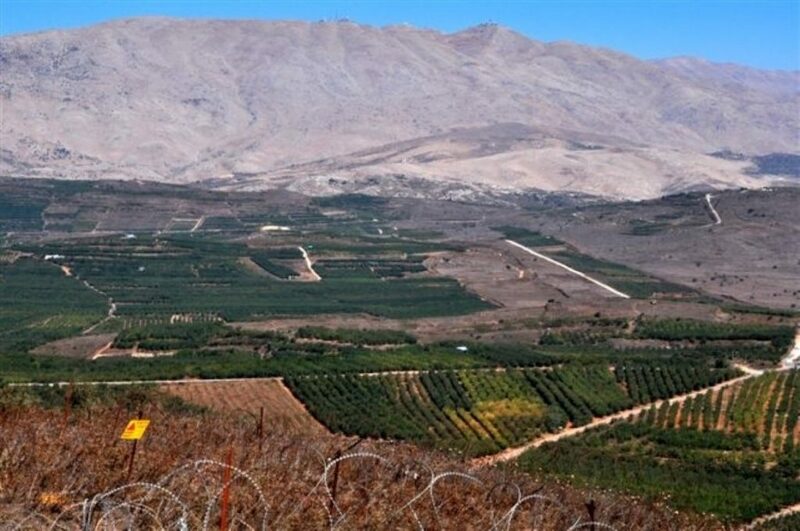 Proceed to Kibbutz Sde Boker and see Ben Gurion’s hut and grave overlooking the magnificent biblical Zin valley. Stop for a camel ride and visit an authentic Bedouin tent. Enjoy Bedouin hospitality and a light lunch. Continue to Hazerim to visit Israel’s Air Force Museum. Drive back to Tel-Aviv. Accommodation - 9 hotel nights including daily breakfast in good tourist/first class hotels according to your choice. 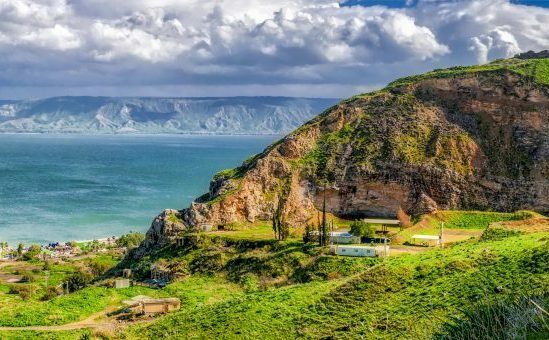 Entrance fees: Israel museum, light and sound show, wine tasting, camel ride, Massada national park, Capernaum, Cesarea, Beth Alpha, Megiddo.